Overwatch patch notes are now arriving on a fairly regular basis. Be it the latest big improvements straight from the Overwatch PTR or a batch of bug fixes, the interest and demand is high. 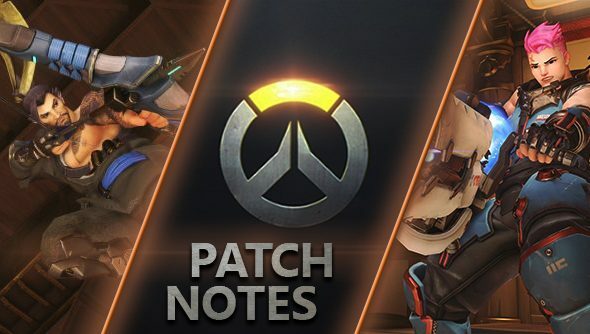 We want to provide the best possible resource for this, so we’ll be using this page to always display the latest patch notes each time there’s an Overwatch update, including what Blizzard have to say about it and any additional context we can provide. For what’s currently in development, check our dedicated post on the Overwatch PTR. The latest Overwatch patch is now available, bringing the Halloween skins and Brawl, Leaderboards and balance changes for Ana, Junkrat and Widowmaker. All the details are below, straight from Blizzard. Developer Comments:So far, we haven’t seen any indication that Ana is too strong overall, but her ultimate charges a little too fast, especially considering the impact it can have on a match. Also, her Biotic Grenades are getting a small boost to help her hit multiple targets. Developer Comments:This change will help Widowmaker acquire new targets more quickly and speed up her reaction time in fast-paced situations. That’s it for the current patch, though as soon as we find out more we’ll update again.